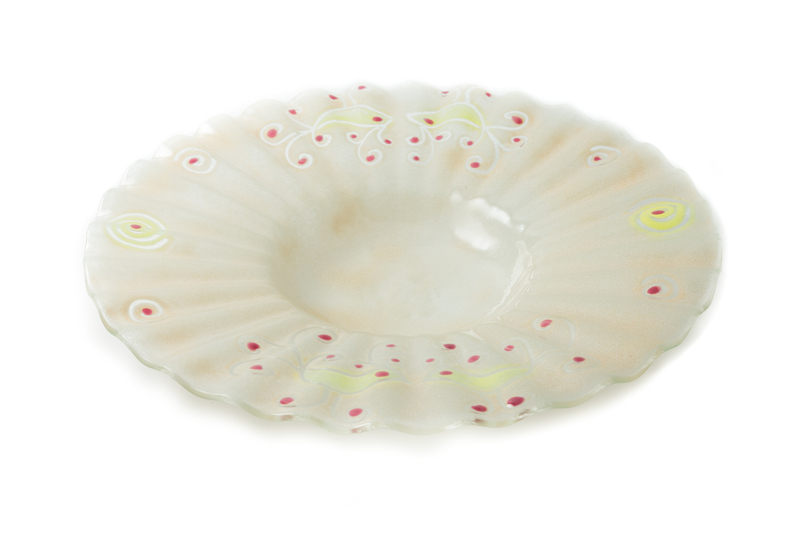 This glass platter features delicate colours, characterized by a lapwing decoration. 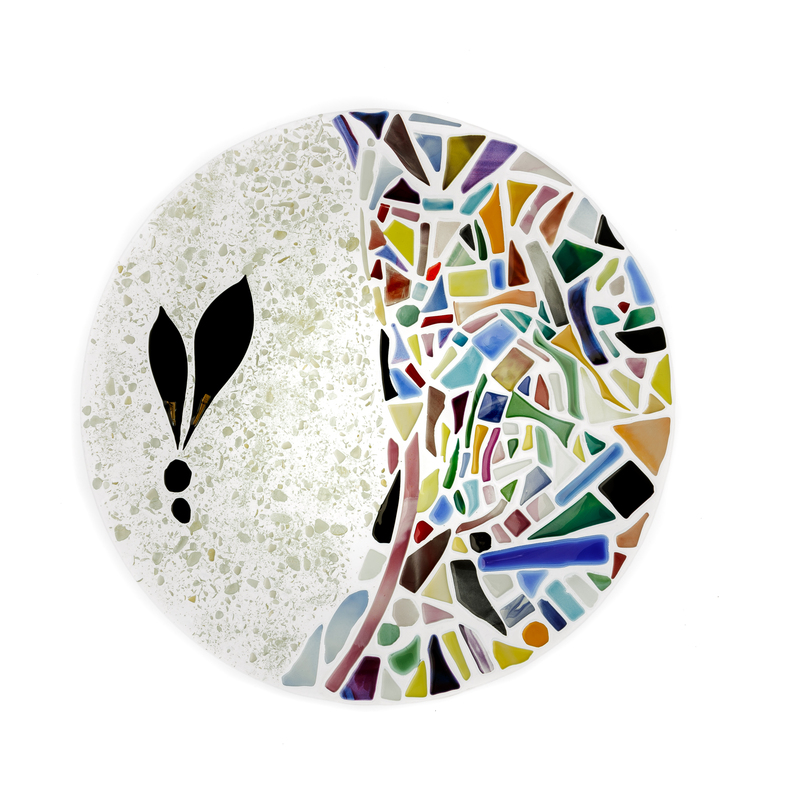 The decoration of this elegant and original decorative glass panel reinterprets the archaic symbol of the tree of life with new and contemporary taste. 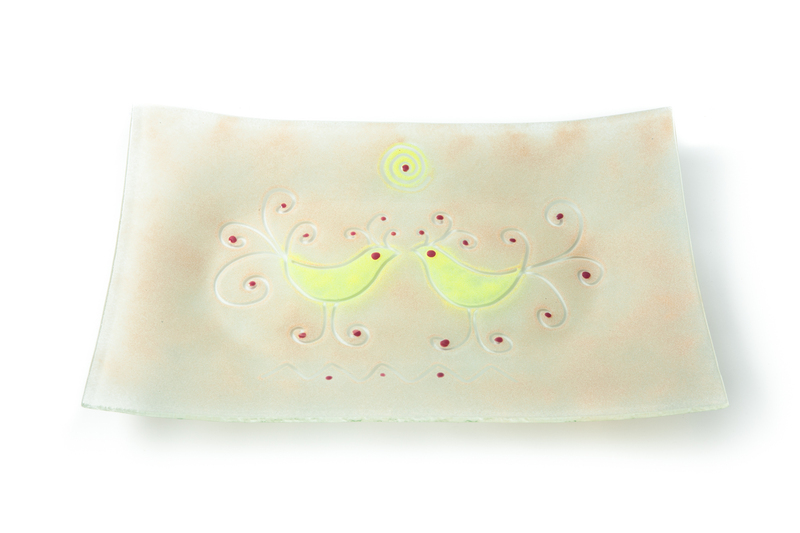 Realised using the artisanal fused glass technique, it features stylised shapes and bright contrasting colours. This transparent glass bowl features many-coloured inserts, made with the glass fusion technique. It is part of the Ballo Sardo collection that includes bowls of various sizes, platters, clocks, lamps and different decorative objects. 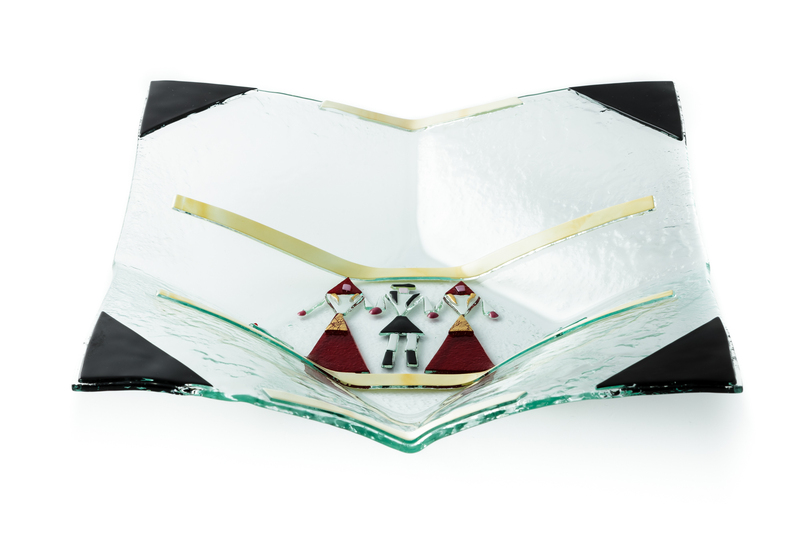 The bright polychrome decoration of this centerpiece plate, dedicated to and inspired by the paintings of the Austrian artist Gustav Klimt, is realised with coloured fragments on a transparent background in dynamic abstract mosaic composition using the artisanal fused glass technique. This glass centrepiece features soft colours and a lapwing decoration inspired by Sardinian tradition. 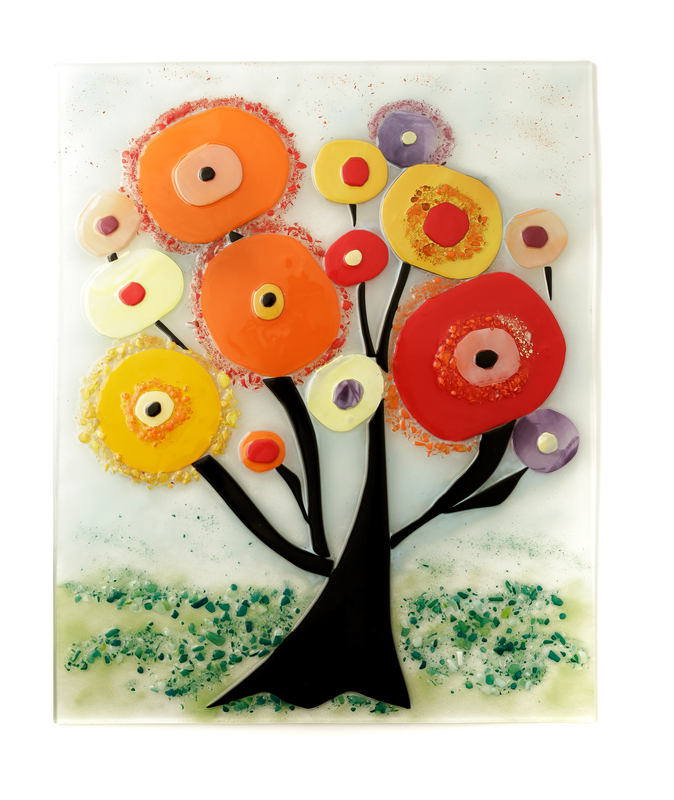 Active in the artistic glass crafting industry since 1997, Vetrotiffany Alcoa manufactures artistic glass walls and home accessories. Since the very beginning, Anna Laura Coa, the owner of the company, has dwelled in the field of experimental glass wall crafting implementing glass fusion and Tiffany techniques, together with a constant commitment to merging traditional and contemporary techniques, to obtain original results and solutions. At the same time, she has specialized in the creation of fusion accessories, including small furnishings and more complex objects, mostly inspired by traditional Sardinian history, traditions and inspirational colours. Small decorative elements, crafted with an original approach and originality. Soft colours and light decorations characterize the different lines dedicated to tableware. Furnishings, decorative objects, cutlery and artistic glass walls are included in different collections, featuring a range of shapes and decorations, as a result of an attentive implementation of traditional technique and innovative solutions. Anna Laura Coa implements mostly four techniques to craft her object: plumbing on artistic glass walls, glass fusion to craft a new piece of glass, the Tiffany technique to create several decorative objects and the ancient Grisaille.